Is your warehouse or facility filled with forklifts? 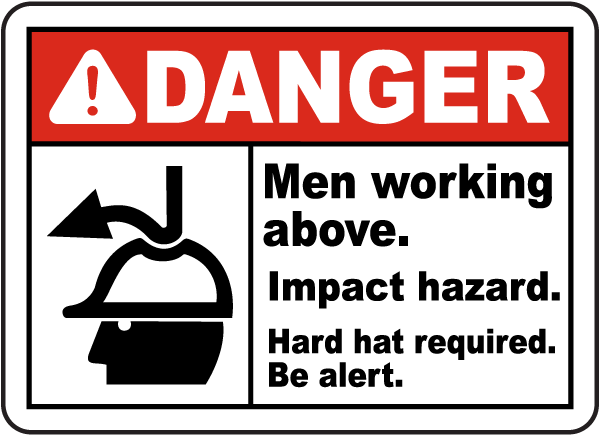 Forklift traffic is a dangerous hazard for workers, especially those on foot. Where forklift traffic is heavy, danger forklift only signs should be posted to alert workers that special indoor traffic regulations are in place and that foot traffic is prohibited. 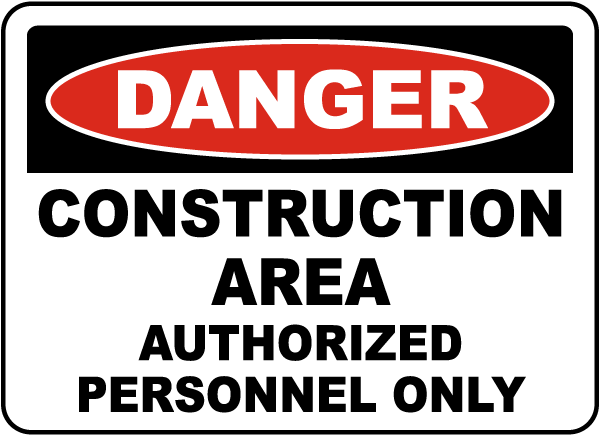 These OSHA and ANSI compliant signs alert those working in the area to very serious hazards. Getting hit by a forklift is just like getting hit by a car on the street, and the same precautions that we take when crossing a busy intersection should be taken when walking around inside a busy warehouse. 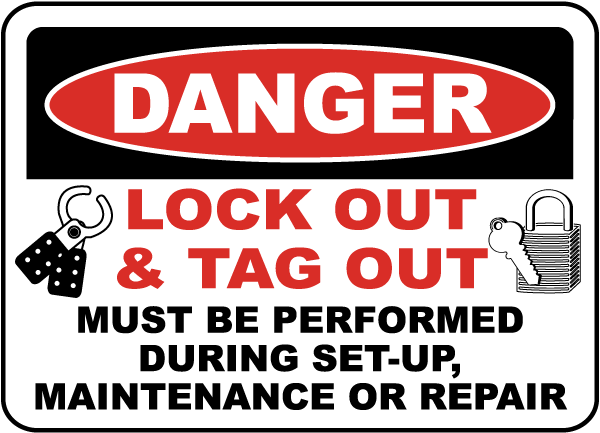 Even though your forklift operators are trained and certified, accidents can be hard to avoid when driving around a corner, through a blind spot, or when moving a load. Noise from the forklifts, other machines, and loudspeakers can make walking around a busy warehouse even more dangerous, when calling out to oncoming traffic is washed out by the other noise. 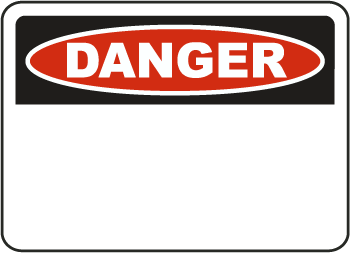 These danger signs should be posted for both the workers on foot and your forklift operators. 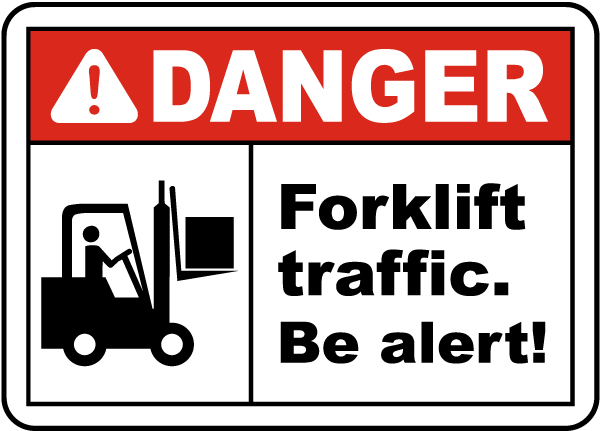 Danger signs in a warehouse can restrict forklift traffic to areas that can bear the load of these heavy machines, areas where there is enough room to safely maneuver, and parts of a warehouse that have enough clearance for the forks when upright. 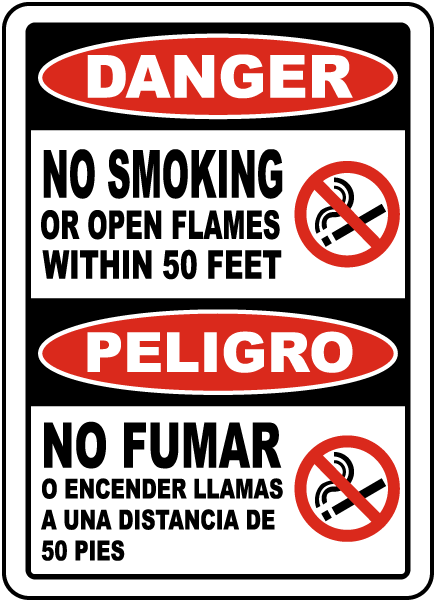 These specific signs are helpful in raising safety awareness, as are the use of traditional traffic signs. 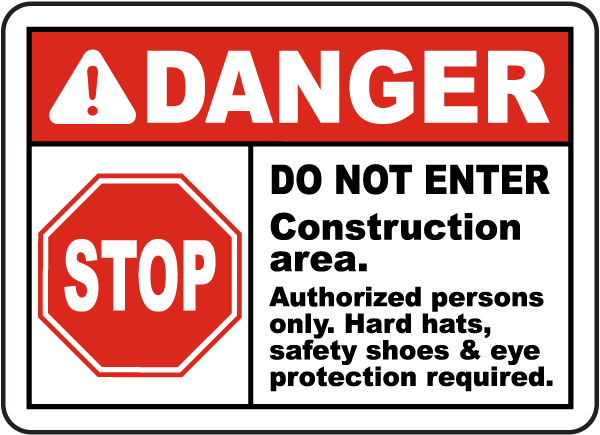 Stop signs, pedestrian crossing signs, and other traffic control measures that are used on public roads may be used inside facilities with heavy traffic to reduce the chance of injuries and damage to goods. 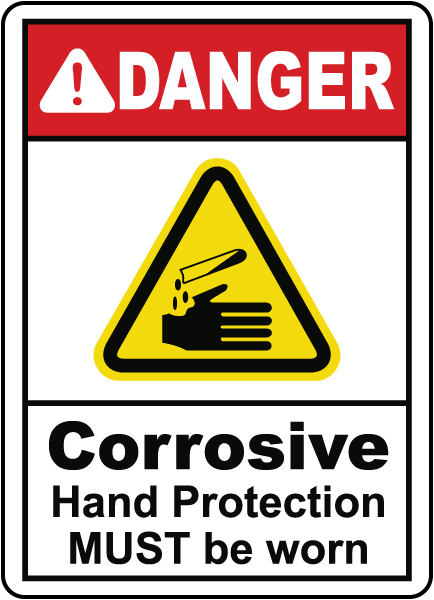 into contact with biohazardous material, patients with contagious illness, and radiation from equipment. 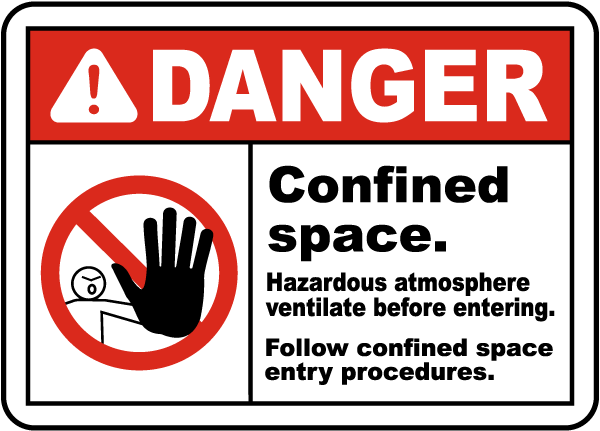 Radiation is a hazard that can be as harmful in one large dose then in a series of smaller ones. 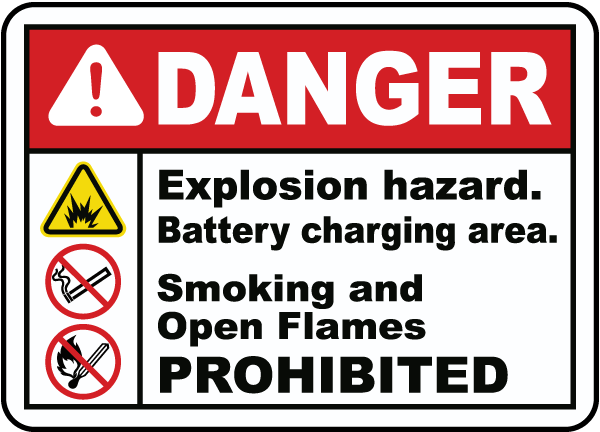 X-ray machines and other equipment give off this energy at safe levels, but it is the prolonged exposure of radiation that should be examined. 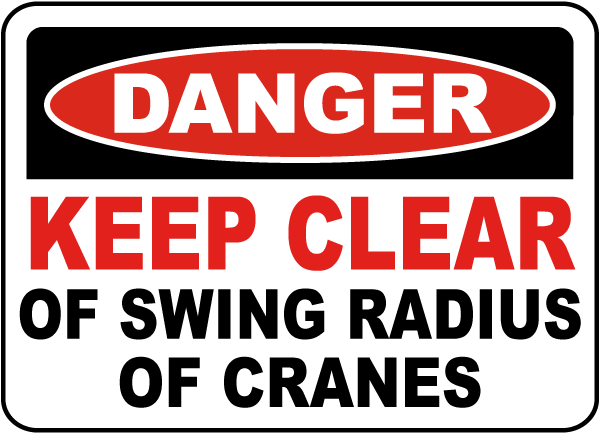 Radiation danger signs are a helpful reminder to staff of this unseen hazard. 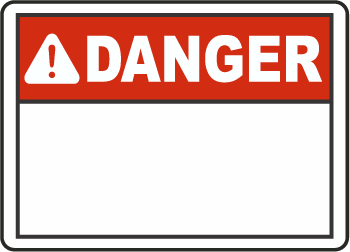 Radiation danger signs look much different than the usual signs, and the part that is unique is its symbol. The ionizing radiation hazard symbol is meant to convey the radiation of energy for the source. 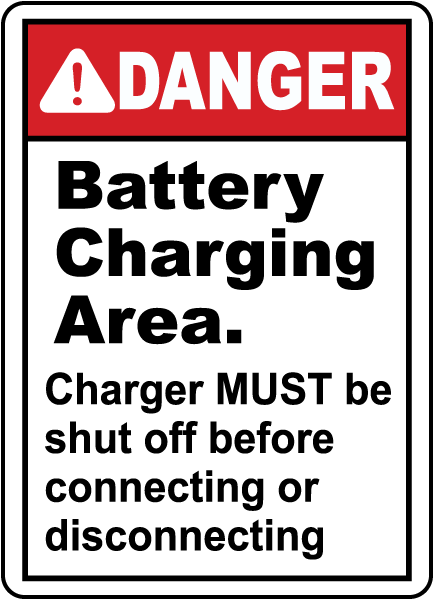 Radiation danger signs use the image with specific text to alert staff that the area is within energy’s field. 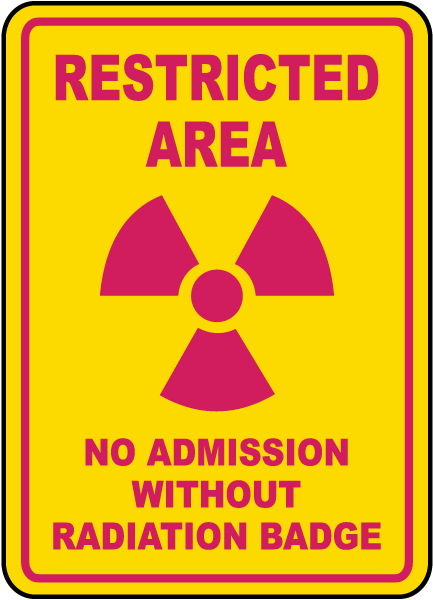 Since radiation is used for certain medical procedures, radiation danger signs can let staff and visitors know where the energy’s field limits are in relation to the equipment that produces it. 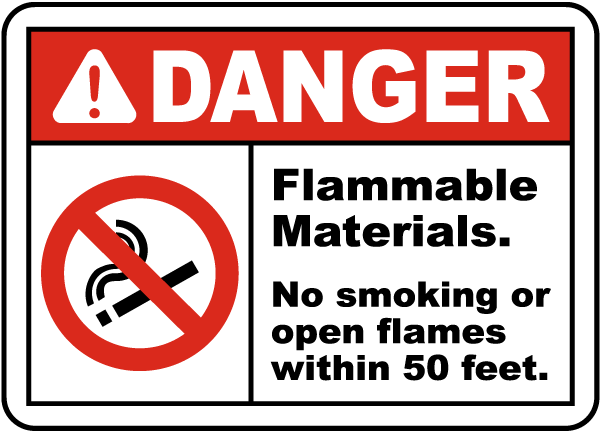 The probability of harmful effects typically increases with every dose, placing more importance on reaching a safe distance from the radiation and letting staff know those limits with radiation danger signs.